It was Human Rights Day, 21 March 2013, when all across Cape Town thousands of people set out to do something different to make a difference as part of the TWD (That Was Different) challenge. It was grand, epic, crazy – and a whole lot of fun! But how has the money raised from TWD helped change lives for the better? Watch this video to find out. Keen to start planning your TWD 2014 challenge? Visit www.thatwasdifferent.net for more info to help you get going. Is this an Opportunity or an Obligation? This isn’t a question many of us ask as we go about our days, but when it comes to responding to the needs of this world it could be a very important one. Richard Lundie explains. The parable of the Good Samaritan in Luke 10 demonstrates that our neighbour is anyone in need. Anyone. In a world that is so fill of need how do we show love to all our neighbours? Helping a friend or family member is one thing, but what about the needs of the millions of other people in this city, this country, this continent? It’s easy to become overwhelmed when the needs are so broad, so deep and so big! But should we treat each situation equally? With limited time and resources, where should we be focusing our efforts? How can we sift through these immense challenges and point our time, talents and treasures towards a few? We are only human after all. If we tried to respond to every situation we could risk burn out, or we might become so demoralised by our attempts to ‘save the world’ that we’d eventually stop trying to respond at all. There is a concept called ‘moral proximity’ which I think can be a helpful lens to look through when deciding how or when to respond to an injustice or a need. When reading scripture, we see how the early church was called to provide for their families. 1 Timothy 5:8 uses pretty strong language to get this point across saying that not providing for your family members makes you “worse than an unbeliever”. Yikes! But I think the reason Paul made this bold statement is because our family is the closest to us in terms of our ‘moral proximity’. Moral proximity states that the closer the person is to you, the more responsibility you have to act and participate in addressing their need. This is not necessarily a geographical proximity, but primarily a relational proximity. An example is: your sister, who lives in another part of the country or continent, has a particular need. You feel a stronger desire and perhaps obligation to assist her, compared to another person who lives in the same city as you, but whom you barely know. That is moral proximity. This is why in 2 Corinthians 8 and 9, Paul urges, encourages, inspires and blesses those from the church in Macedonia who contribute towards supporting the church in Jerusalem undergoing famine, but at no point does he say that if they don’t give they’ll be “worse than an unbeliever” – the strong warning he gave to the believers in 1 Timothy 5:8. I believe the reason for his change in tone is because the two churches he’s speaking about in 2 Corinthians were far apart, but connected, so the contribution was an opportunity, rather than an obligation. The closer the person or the need is to you, the greater the obligation. The further away it is the more responding to their need becomes an opportunity, and less of an obligation. This is not about drawing a line so we can ‘get away with less’. It’s more about distinguishing between those situations which provide an opportunity for us to be generous and those situations where we are obligated as Christ-followers to sacrificial love. And, here’s the tough part, where not responding is actually sinning. So what does this mean for us? As we face the wide range of human needs in this world, the first people we should be looking to help are those around us. We should be careful not to clamber over people in need who are in our midst to help others ‘further out’. Who are the people in your life in need who you could move towards in relationship? Have you perhaps overlooked the person that works with you or for you? Or the congregant in the seat next to you? While God still wants us to take those opportunities to love our neighbours across cities, oceans and continents, he has mandated us to care for those who are nearest to us in space, kinship, time and geography. There could be people who are outside of your social circle, but who fall within your moral proximity. The parable of the Good Samaritan in Luke 10 shows us that we should not limit our love to those in our ‘inner circle’. And moral proximity should definitely not be used as an excuse to only help those who are like us. 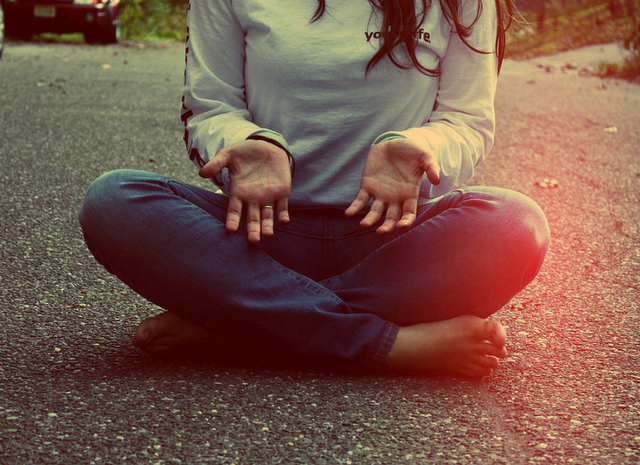 Why not prayerfully consider those people who God has placed in your sphere? What are the opportunities that God is offering you to be generous and loving? Who are those closest to you – in your family, your small group and so on – who you could moved towards in compassion and support during a time of need or injustice? What can you do to journey with them? God wants to use us as his instruments to bring hope and restoration to this world but he can only do this if we’re willing to open our eyes and see the people in our midst who he is calling us to love and serve. -Richard is the Partners and Initiatives Programme Manager at Common Good. He also serves on the leadership team of Common Ground Church Wynberg, together with his wife, Ruth. What are your thoughts on this? How do you decide when and how to respond to those in need? Do you think ‘moral proximity’ could be a helpful lens? 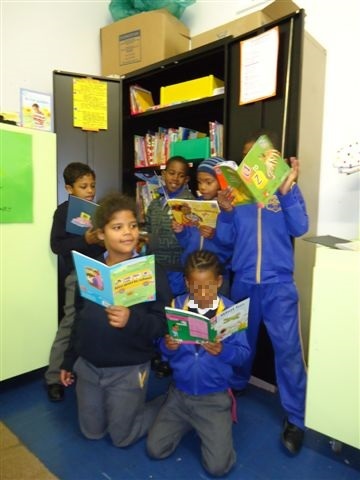 Thanks to a generous donation by the Peninsula 77 Round Table, we were able to purchase boxes of brand-new books for our Kewtown Primary Literacy Programme – opening up a whole new world of opportunity and imagination! 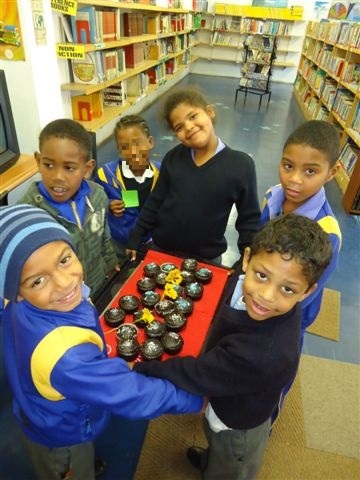 Since starting in May 2011, the Kewtown Primary Literacy Programme has aimed to improve the reading ability of Grade 2 learners at Kewtown Primary using the successfully tested Shine Centre model, which pairs volunteers with one or two Grade 2 learners for a session once or twice a week. We wonder what this story is about?! 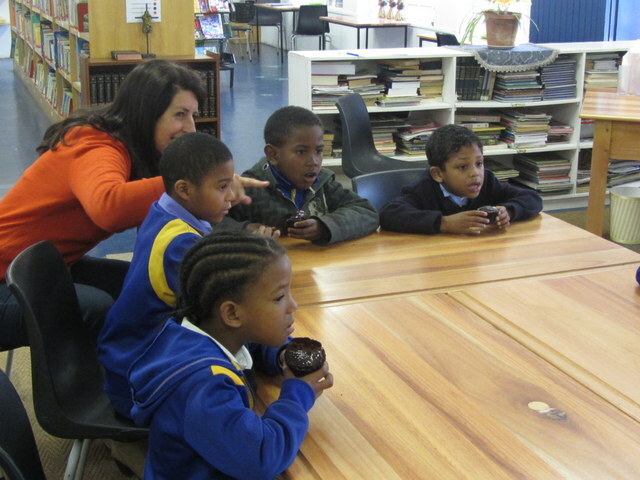 The Literacy Programme is currently providing one-on-one tutoring to 10 Grade 2 learners at Kewtown Primary with the help of 11 volunteers. And the volunteers hard work is paying off! The last assessments showed that the literacy levels of those currently in the programme improved by an average of 20% whilst those not in the programme improved by an average of 10%. But what would a literacy programme be without a range of beautiful and inspiring books to help nurture within each learner a love for reading? 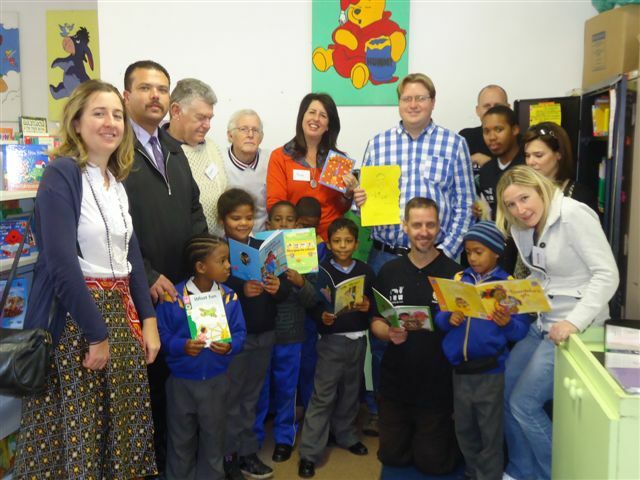 The donation from the Peninsula 77 Round Table has taken the Literacy Programme to the next level by providing a fresh and much-needed supply of books to help the volunteers encourage and motivate the learners. A huge thank you to the Peninsula 77 Round Table for this donation which will impact the lives of so many children. Not only will these books help the volunteers to tutor the learners so their literacy levels can improve, but they’ll also help develop what will hopefully be a lifelong love of reading. A gift that will keep on giving! Interested in volunteering? 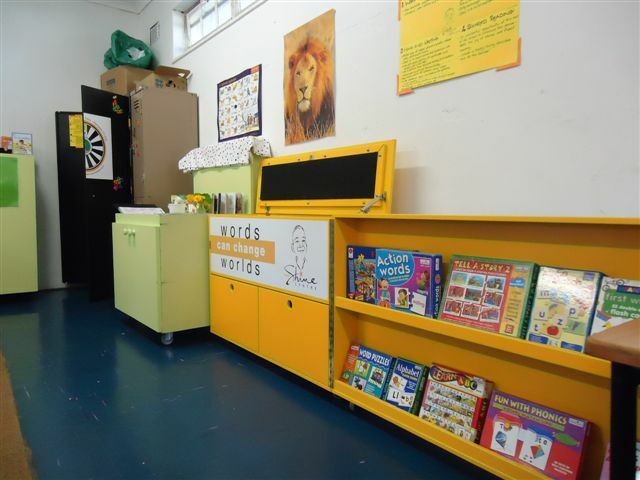 Email us to organise a visit to the Literacy Programme where you can find out more before signing up. 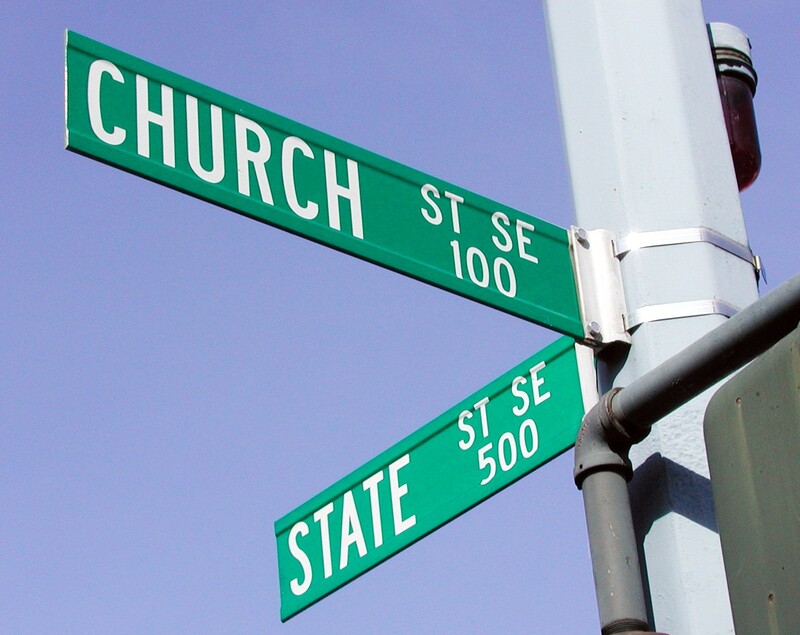 Government, Church: Who’s in Charge? It’s the dinner party conversation that is every hosts worst nightmare, but maybe it’s time we talk about it like adults. Tim Hoffman explores the unique roles of church and government. People tend to get shifty-eyed when religion and politics are brought into the same conversation, right? But most of us can agree that despite not having the cleanest track record, the church and government both still play important roles in combating poverty and injustice. And God uses both! Even here, Jesus isn’t giving us a simple yes or no answer. Tony Campolo has said, “There is no question in my mind that God is bigger than the church and that the church will be used in God’s endeavors, but not only the church. In God’s work in the world, all principalities, all powers, all dominions, and all thrones will be used (Ephesians 1:19–23).” Governments and nations will be held accountable before God for how they cared for his Kingdom, just as we will as individual Christ-followers. But the designation of specific roles for church and government is much more complex. To what should we hold the government accountable and what is our responsibility as Christ-followers within the church? Especially when it comes to caring for society’s most vulnerable? According to Martin Luther, the civil government’s role is to keep outward peace in society. An expression of this is to look after its citizens’ physical and social needs. Government can create and implement policies, which can affect the lives of millions of people. Community service can come in the form of tax breaks for low- or no-income earners, subsidized meals for children, and aid to areas affected by storms, floods, disease, and other disasters. All of this is much needed and as Christ-followers we should play an active part in engaging with the efforts of government to strengthen our city and our country. We should be model citizens by paying our taxes and exercising our right to vote and being part of nation building. And when we speak about our country, we should do so with the hope that Christ has for our country. But as the church we also have a very unique role to play in social transformation. As Christ-followers, we’ve had our hearts transformed by the Good News. Once we realise what Christ sacrificed for us on the cross, we suddenly become far more willing to risk life and limb to help others. I believe that this is why the church’s response has penetrated society at a much deeper level. Because the motivation behind it – when it has been pure – hasn’t been to glorify man, it’s been to glorify God. God has given the church the mandate to care for the widow, the fatherless, the immigrant and the poor (Zechariah 7:10–11). So where does this position us as Christians? Perfectly. We as individuals are the church scattered. What are we doing to love others, in our own capacity – with our time, talents, and treasures? What are we doing as advocates for change? I grew up as a pastor’s kid in a rural area. We lived in the parsonage next to the church building. I remember many times when there was a knock on our door by a stranger who was looking for help. Food, money, clothes, shelter. Every time they walked away either with something in their hands or details about a place nearby that could help. People came to our house because they knew they could get prompt help and without judgment. The church can impact society on a far more personal level by loving and caring for those in need, and by providing a community where transformation and reconciliation can take place from the inside out. We need to hold government accountable for meeting the needs of its citizens but we shouldn’t rely on it to do the unique work of the church. Some of us may feel called to open our homes to foreigners. Some of us may feel called to take a vested interest in the lives of the people around us – our domestic workers and gardeners – and pay them at higher rates than normally accepted to help them to break out of the poverty cycle. Others may feel God drawing them to volunteer at schools or with NGOs. And others may feel the nudge to engage government by writing letters to legislature, to sign petitions, peacefully protest. 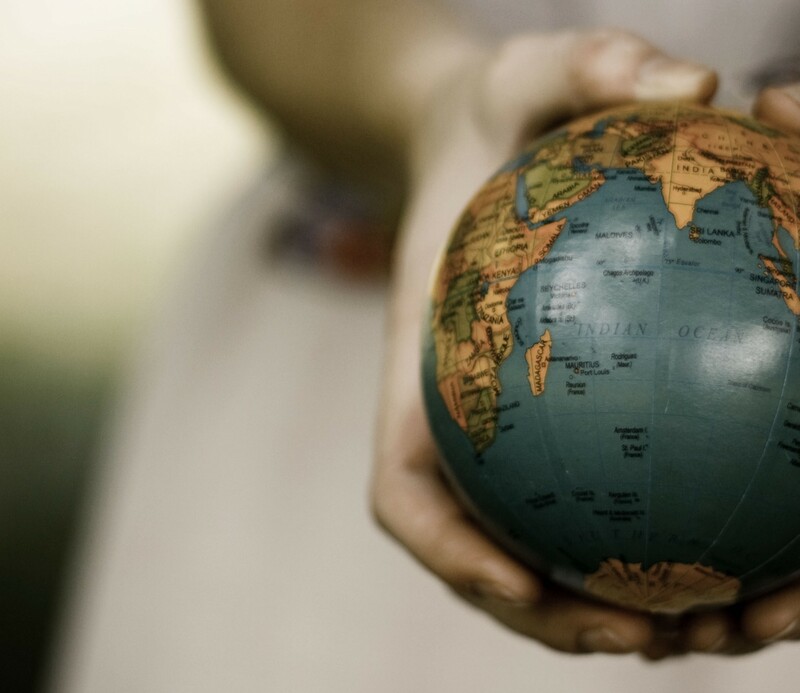 But no matter what we do to love others, we do it out of a response to God’s love – and this is where our response differs from the efforts of government and the world. We respond in love and get involved in bringing hope and transformation – not out of a sense of guilt or obligation – but because we have been mandated by our Father to care for all that he has created and given us. – Tim is the Mobilise and Equip Programme Manager at Common Good. Him and his wife Natasha are members of the Common Ground South Peninsula congregation. How do you think the role of the church and the role of government should differ? How do you think we as Christ-followers can keep the government accountable to fulfilling their role? And how can we fulfill our role in our daily lives?